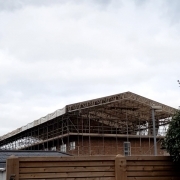 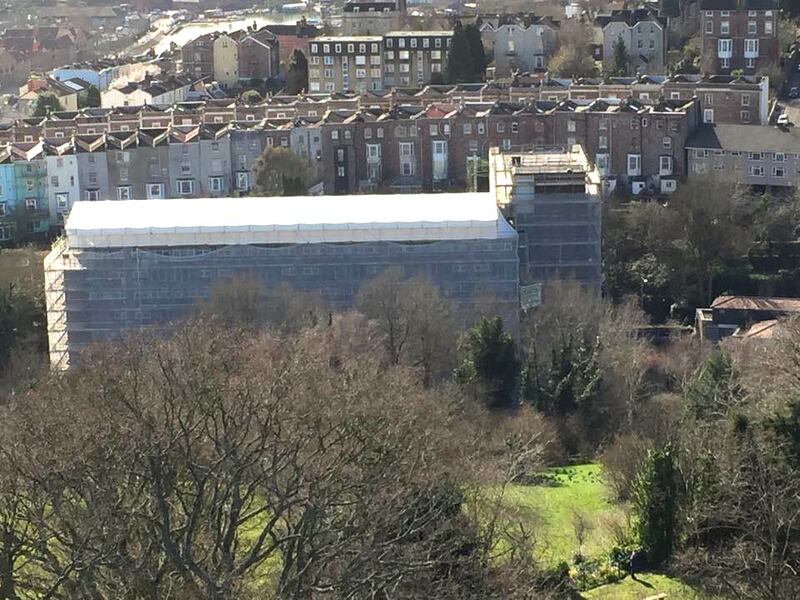 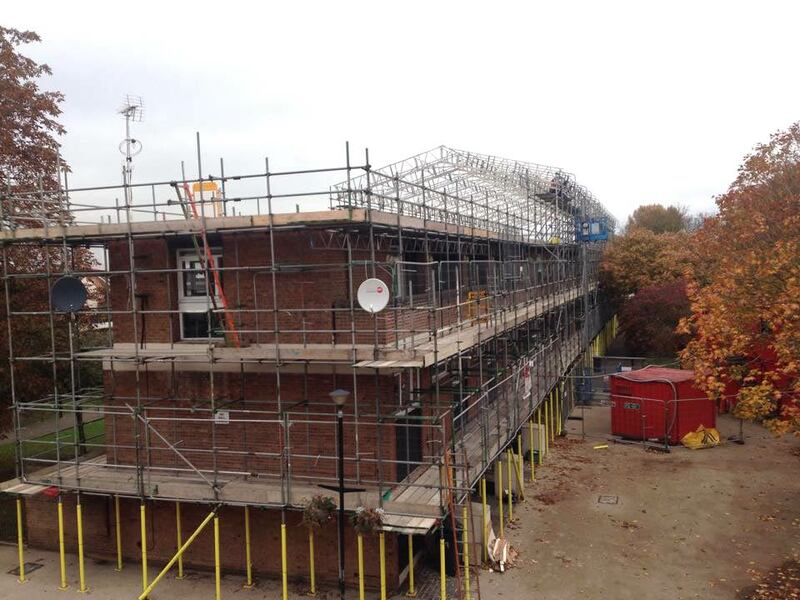 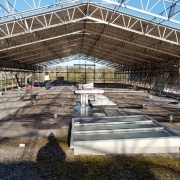 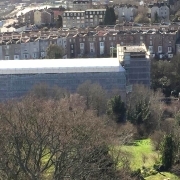 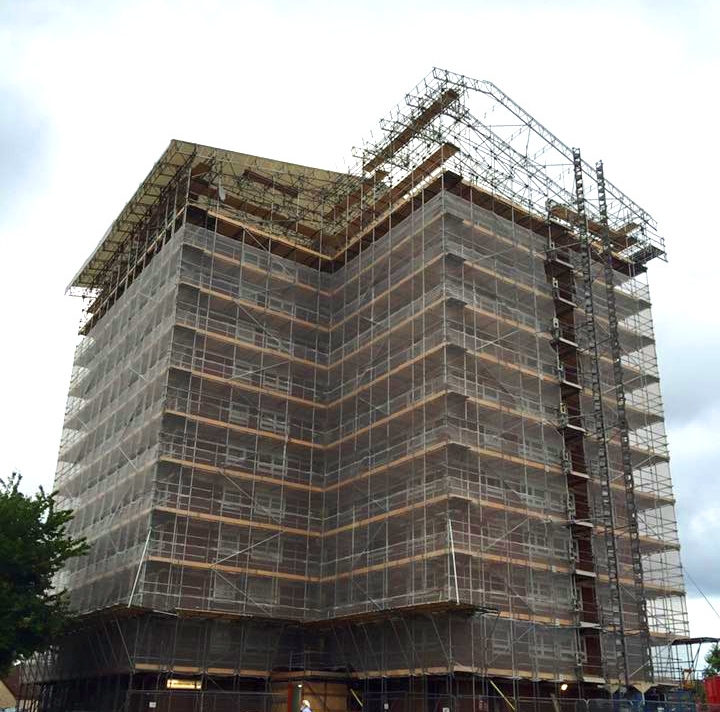 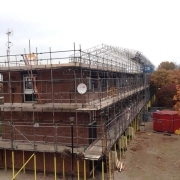 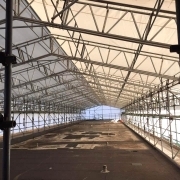 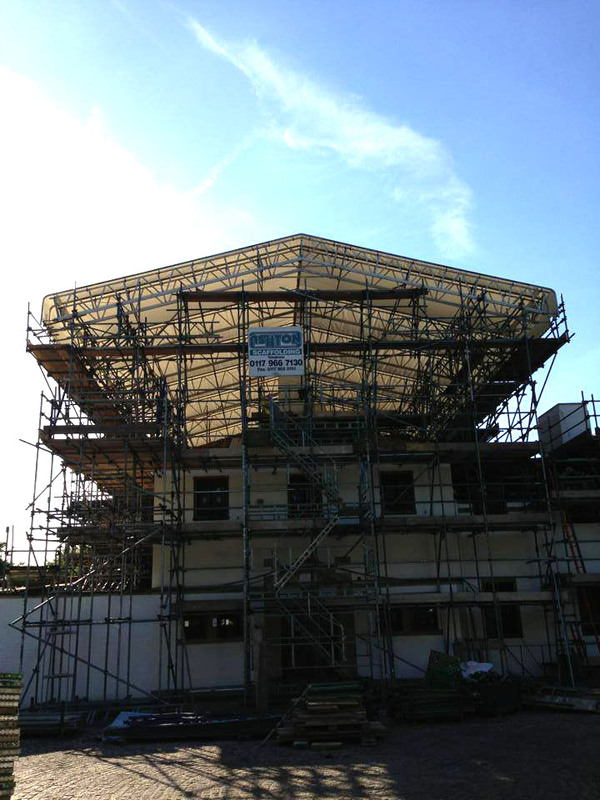 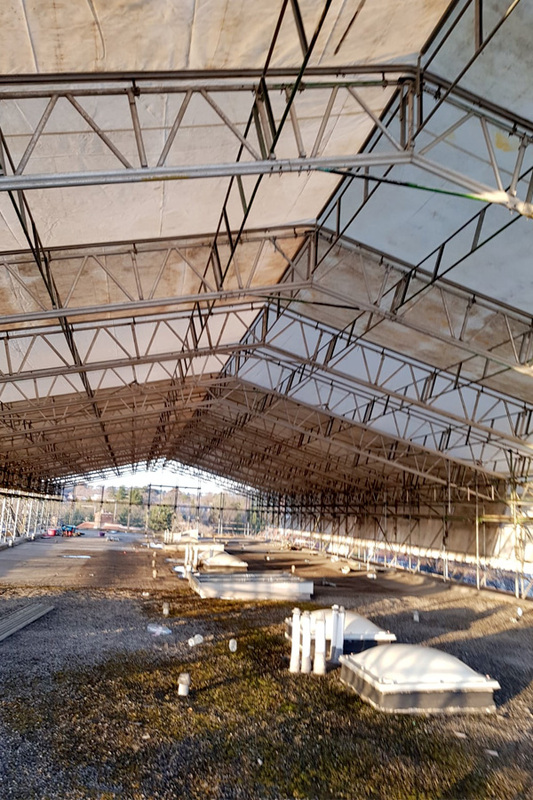 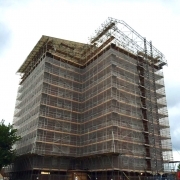 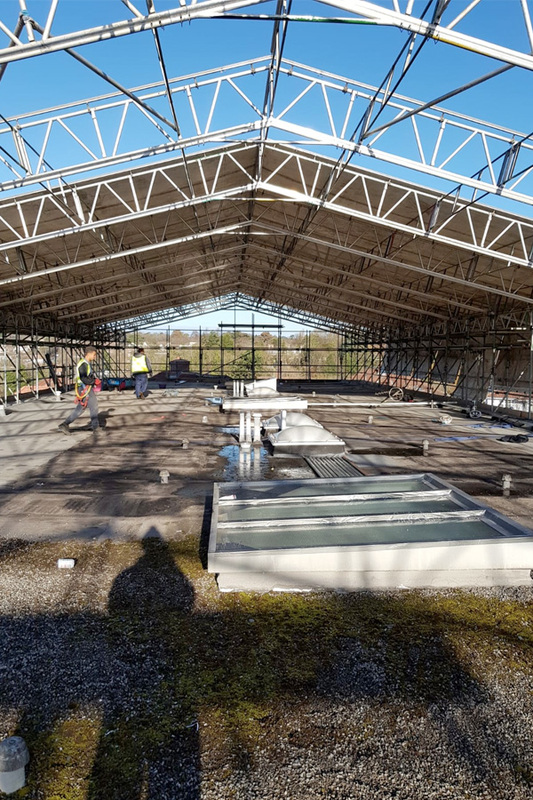 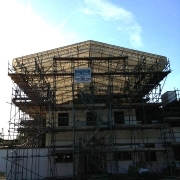 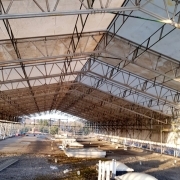 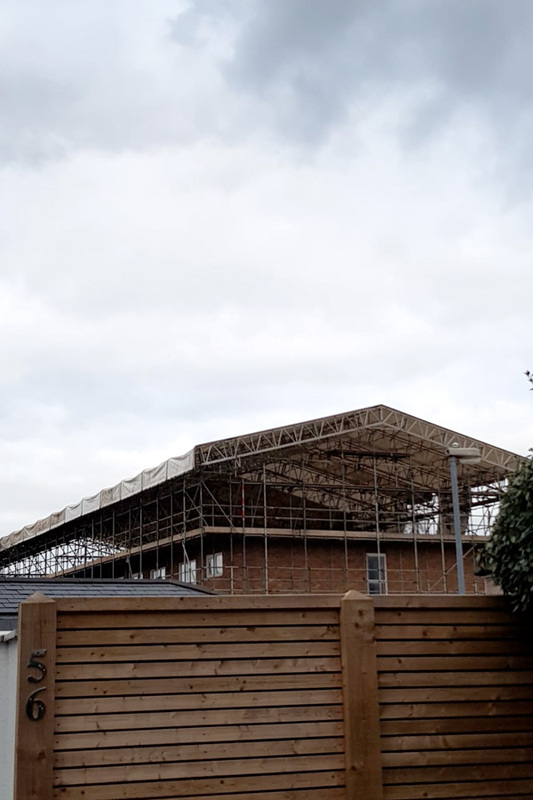 Ashton scaffolding uses the HAKI temporary roofing system for weather protection and containment. 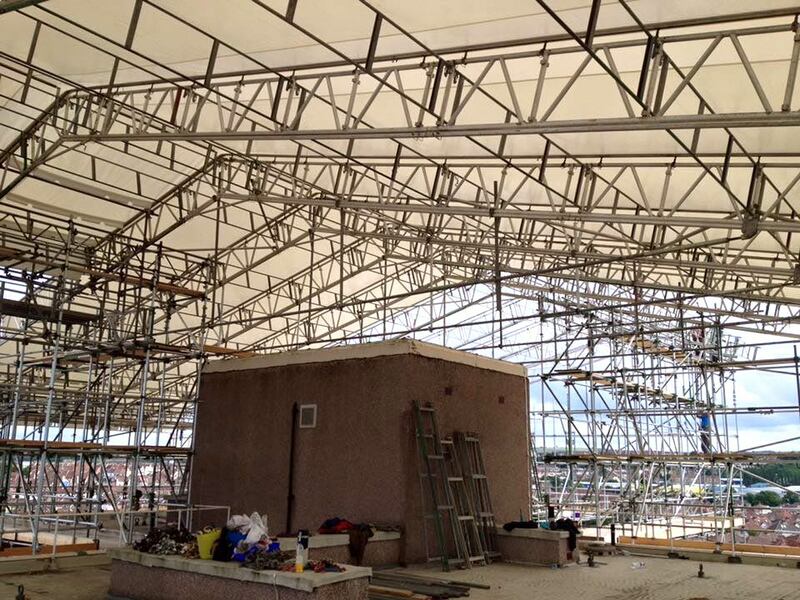 HAKI roofing systems are world renowned in the industry, enabling construction work to continue whatever the weather. 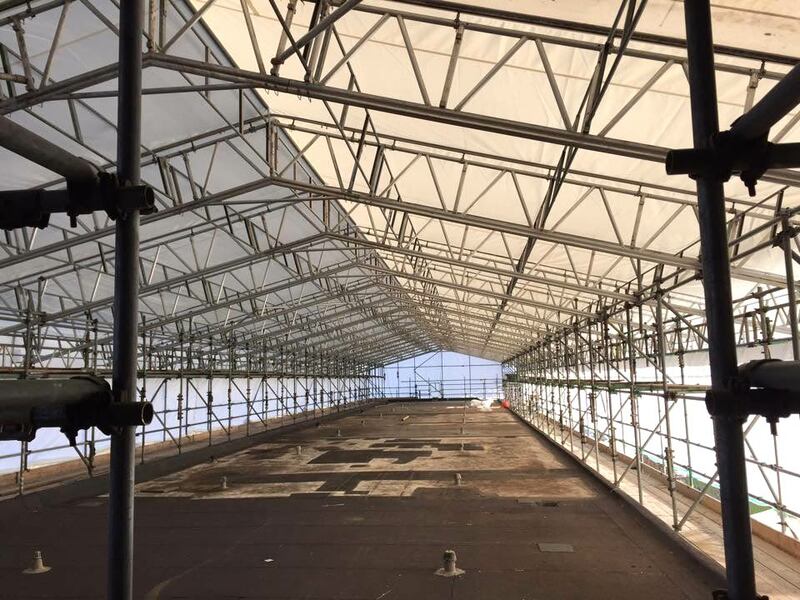 Sheets can be removed and replaced for building materials to be lowered into the roof space – allowing for continued weather protection. 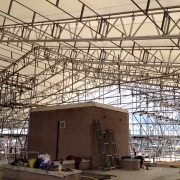 Our HAKI systems means they can protect any construction project. 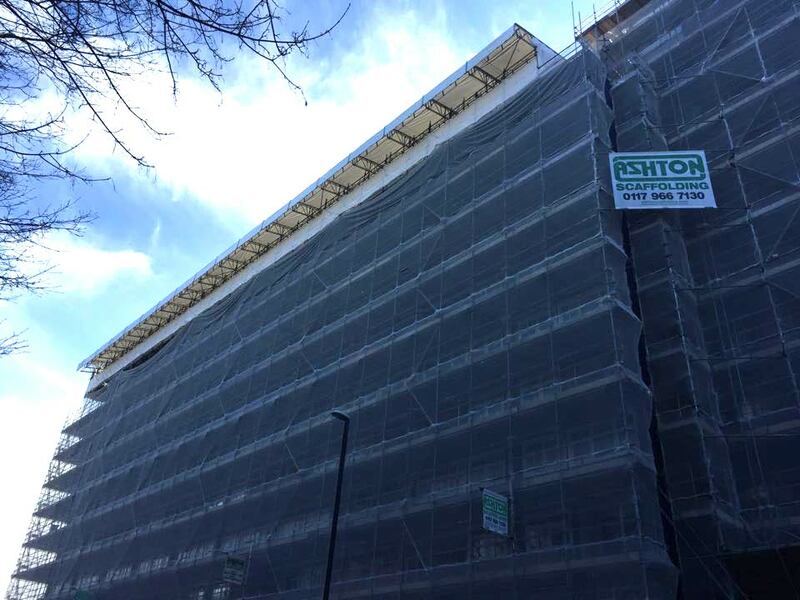 Aluminium bridging beams can span up to 45m with Kedar tracking sheets attached, secured and tensioned at each end. 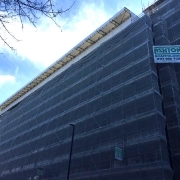 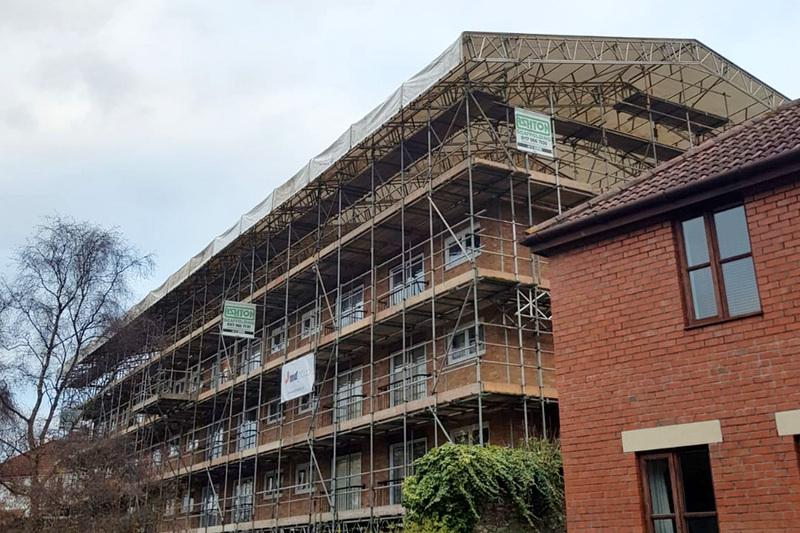 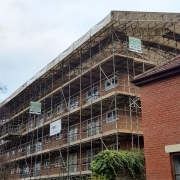 Ashton Scaffolding are an approved HAKI installer for the South West.